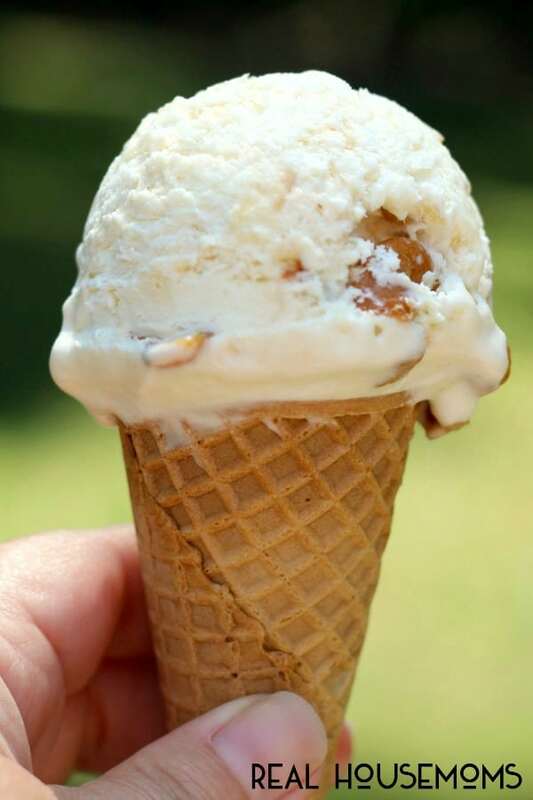 Summer may be winding down, but there is still plenty of time to enjoy this easy SALTED CARAMEL CASHEW NO-CHURN ICE CREAM! 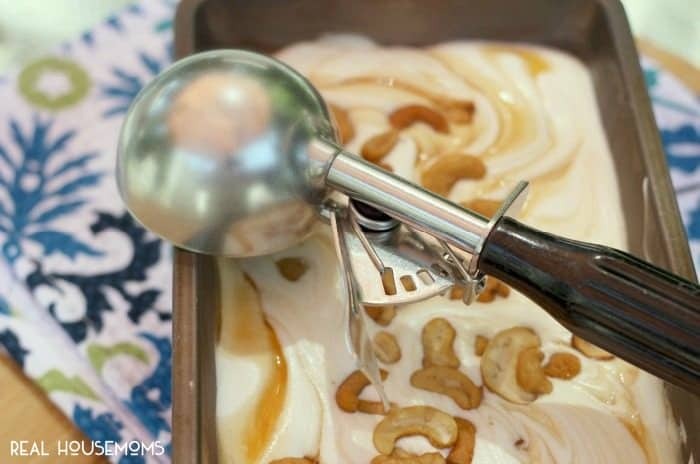 If you make any homemade no-churn ice cream recipe this year, let it be Salted Caramel Cashew No-Churn Ice Cream. This recipe has only a few ingredients. You do not need an ice cream maker to make it. Therefore, Anyone with an electric mixer (or a really strong arm) can make this ice cream! It mixes together in minutes and the hardest part is waiting for it to freeze, I promise! Have you jumped on the no-churn ice cream bandwagon yet? 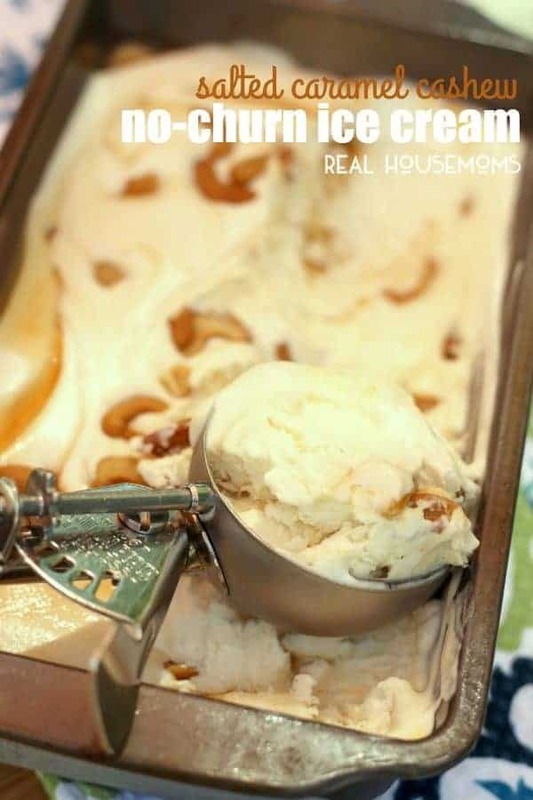 Last year, I did some research on no-churn ice cream recipes. I was seeing them all over Pinterst and was anxious to give one a try. I found the recipes that just called for heavy whipping cream and sweetened condensed milk for the ice cream base were just a little too rich for my liking. So, after a little experimentation, I found the right formula. By adding just a little whole milk to the recipe, it cut the richness but still left it creamy. This Salted Caramel Cashew No-Churn Ice Cream is made with a little whole milk too. But no worries, it’s still a nice a creamy ice cream even with the addition of milk. If you don’t mind a really rich experience, you can just leave the milk out when you make it. I still love the very first no-churn ice cream I made last year: rich and creamy Caramel Macchiato No-Churn Ice Cream. It was love at first taste and I was shocked at how easy it was to make! This year, I wanted a to make a different flavor, and so, Salted Caramel Cashew was born. Since this recipe only calls for a half of a can of sweetened condensed milk, I was left with some extra product. However, I am not one who likes to waste. I used the other half of the sweetened condensed milk to make a wonderful Michigan Cherry Amaretto No-Churn Ice Cream too! That is the beauty of no-churn ice cream recipes…they are so easy, you can make a variety of flavors in one afternoon! Think of all the flavor possibilities! Will you be giving this easy no-churn ice cream recipe a try? What other flavor combinations will you make? 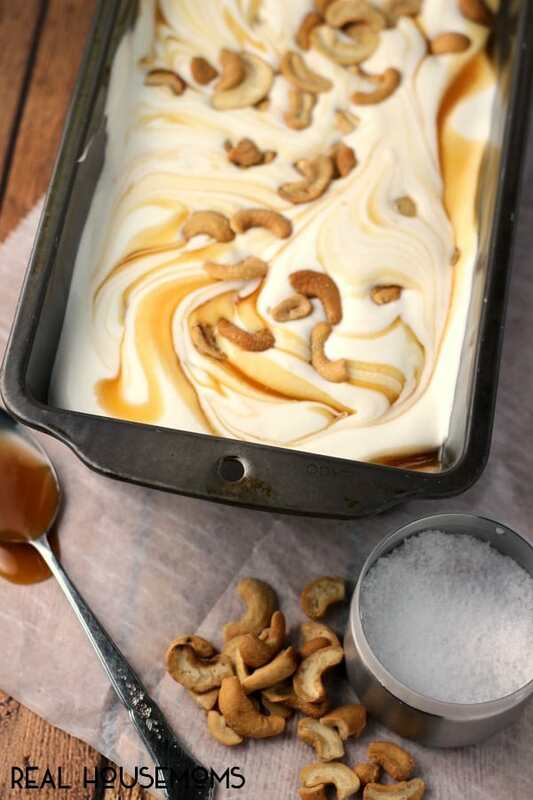 Salted Caramel Cashew No-Churn Ice Cream is a rich creamy vanilla based ice cream with salted caramel ribbons and crunchy cashews made without an ice cream maker! 1/2 of a 14oz.can sweetened condensed milk about 7 oz. In med bowl, with an electric mixer, whip heavy cream until stiff. Set aside. In large bowl, with a whisk, combine the sweetened condensed milk, whole milk, vanilla extract and 1/4 tsp. kosher salt. Fold the whipped cream into the condensed milk mixture to form a thick ice cream base. Pour mixture into a loaf pan or other long vessel for freezing. Drizzle salted caramel over the ice cream base. Sprinkle top of ice cream base with cashews. With a butter-knife, swirl the mixture to mix. To serve, let sit out for a few minutes to soften before scooping. Enjoy! 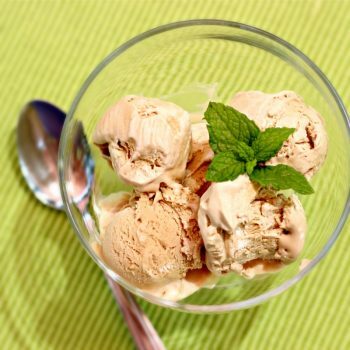 *If you prefer a richer ice cream, omit the whole milk from the recipe. 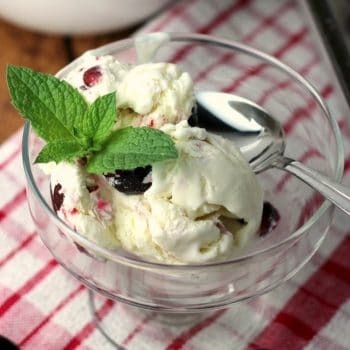 More no-churn ice cream recipes to make!